In the 1950s-60s, Hong Kong cinema was clearly divided into to entities, the films in Mandarin language and those in Cantonese. These were two distinct cinematic worlds, with their own characteristics, styles and stars. The great Patrick Tse or Wu Fung were the beloved stars of the Cantonese cinema. But the biggest star of all was without a doubt Josephine Siao Fong Fong. Born in Suzhou near Shanghai in 1947, Siao didn't have a usual childhood. Aged two, she became deaf of the right hear --a problem that followed her all her life. A year later, Siao relocated to HK with her mother. Her mum received a job proposition for the young child and desperately needing money, she accepted that Fong Fong shot her first film. Siao's debuts were in the Mandarin cinema though, but she worked in the Cantonese cinema industry the most, an industry that needed a lot of child actors for the very popular family dramas it churned out. In this specific context, Siao quickly became a very sought after, almost exploited, actress. Her acting chops were very quickly acclaimed as in 1956 she received kudos as best child actor for her role in The Orphan Girl. Her popularity kept rising in the 1950s-1960s. From child star, Siao became just a star, a change that was sometimes tricky. Siao also joined the 'Seven Cantonese Princesses' and even become the most acclaimed of this already very famous group of actresses. She found herself playing in a large variety of films, from dramas to wuxia pian, passing by comedies or spy flicks, and she reaches very soon the 100 films mark. Siao also appeared on occasion in some Mandarin films. often musicals produced by the Shaw Brothers. Despite the fame, Siao grew tired of the movies and at 21 she retired to go and study in the USA. She spent four years studying in the university and graduated in Mass Communications and Asian Studies. She then came back to Hong Kong to convince her mother to move to the USA and settle down there definitively. Alas, her mother had no intention to move and Siao finally gave up the idea. In HK, she took her acting career where she'd left it and played in local films as well as in productions for the Taiwanese market. Siao also got more involved in production and founded her own production company and she also got involved in scriptwriting. This is how Jumping Ash came to be. It is a film noir that was a precursor of the HK New Wave movement. Siao also worked in TV where she gave English lectures and created Lam Ah-shun, the very popular comic character of Plain Jane. Three films where dedicated to this character, with the latest one being the most famous --Plain Jane To The Rescue directed by John Woo. From 1975 on, Siao's private life eclipsed her career. Her first marriage was a disaster. Only three month after marrying Charlie Chin, they divorced as they couldn’t reconcile. Eventually, the actress remarried in the early 80s, and this time for good. Siao left HK for Australia where her husband was transferred to. There she managed to stay clear from movies for a few years, and give birth to two children. But Siao received many acting propositions and she eventually agreed to come back to work in HK. She even took home the Best Actress Hong Kong Film Award for her role in The Wrong Couples. But it is mostly with Fist of Fury 1991 II and Fong Sai Yuk that she won over the young generation of HK moviegoers. In 1995, she offered a superb performance in Ann Hui's Summer Snow. She was awarded for this role the Best Actress award at the Berlin film festival in 1995. She eventually retired for good in 1997, her deaf hear weighting tremendously in her decision to leave the film industry. 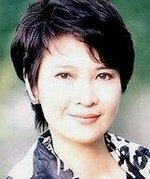 To be completist, let's note that Siao became a member of the Most Excellent Order of the British Empire in 1996, she graduated in child psychology in 1990 and founded the End Child Sexual Abuse Foundation. In 2009 she was awarded the Life Achievement Hong Kong Film Award.